What Conditions Respond Well to Homeopathy? So, Which is Stronger 6X or 30X? What Potentcy Should You Take? NOTE: This is a long, information-packed article on Does Homeopathy Work? The Science, the Remedies and Dosages. To make it easier to navigate, use the Table of Contents button to your right! Homeopathy is an alternative system of medicine that was founded in the early 19th century by a German physician, Dr. Hahnemann. It had its greatest popularity in the late 19th century here in the United States, when 15 percent of the doctors in this country were homeopaths. However, with the advent of modern medicine, Homeopathy began to look old and stodgy and its popularity took a nosedive. However, since 1980 Homeopathy has seen a resurgence of interest in the United States and the U.K.; homeopathic books can be found in many bookstores and homeopathic physicians in most towns and cities. The principle of the single remedy states that a single medicine should cover all the symptoms the patient is experiencing: mental, emotional, and physical. A classical homeopath would not prescribe one medicine for a headache and another for an upset stomach, he or she would find a single medicine that covered both symptoms. The principle of the minimum dose has two parts. First the homeopathic physician only prescribes a small number of doses of the Homeopathic Medicine and waits to see what effect the medicine has. Second, the medicine is given in an infinitesimal dose. Homeopaths have discovered that the effect of homeopathic medicines is strengthened upon successive dilutions as long as the medicine is violently shaken between each dilution. Medicines are typically used in very high dilutions such as 30C (1 part in 10^-60) or 200C (1 part in 10^-400). Many of the Homeopathic Remedies are so diluted that according to the known laws of physics and chemistry, they couldn’t possibly have any effect. Once you get beyond a certain point-24x or 12c -there is probably not even one single molecule of the original active substance remaining. This fact is often pointed to by critics of Homeopathy as they dismiss the effect of Homeopathy as merely due to placebo effect. And yet, according to homeopathic doctrine and experience, the more diluted the solution, the more potent it is. Homeopaths contend that the remedies work and they see no reason to stop using them simply because we do not understand how they work. They often argue that pharmacologists cannot explain exactly how most conventional drugs work. For example, even aspirin is not fully understood in terms of how it works, but physicians have no difficulty in recommending its use. Over the years several theories have been proposed to explain the action on homeopathic potentization. Homeopathy is an energy medicine, as are acupuncture and therapeutic touch. Homeopaths believe that although the physical molecules of the original substance may be gone, dilution and succussion leaves something behind-an imprint of its essence, or its energy pattern-that gives it a kind of healing charge. Potentization does not occur if you simply dilute the substance, even if you dilute it repeatedly. Nor does it occur if you only shake the substance vigorously. There is something about each process that builds sequentially upon the other, causing the power to be retained and progressively intensified. But how does the information in such a minute amount of substance get transferred to the body? Some theorists suggest the repeated succussion creates an electrochemical pattern that is stored in the water carrier and then spreads like liquid crystallization through the body’s own water; others say the dilution process triggers an electromagnetic imprinting that directly affects the electro- magnetic field of the body. This concept is used in other therapies also. For example, Ayurveda suggests taking water that has been potentizated by precious metals such as gold. The water is believed to possess curative power as a result of coming in contact with gold and other Gemstones although no molecular transfer takes place. The healing power of Crystals and magnets are believed to come from their effect on the energy pattern or vibration frequency. So, the suggestion of the Homeopathic Remedies as working on the energy plane may not be as far fetched as we may think at the first glance. Homeopaths believe that it is the energy or “vibrational pattern” of the remedy, rather than the chemical content, that stimulates the healing by activating what Hahnemann called the Vital force. Vital force is the healing power or energy that exists within us all. It is called by the name Chi by Chinese and Prana by Indian Ayurveda. The vital force fuels the mind, body, emotions and mind. It keeps us healthy and balanced. Scientists who accept the potential benefits of homeopathic theory suggest several theories to explain how highly diluted homeopathic medicines may act. Using recent developments in quantum physics, they have proposed that electromagnetic energy in the medicines may interact with the body on some level. Researchers in physical chemistry have proposed the “memory of water” theory, whereby the structure of the water-alcohol solution is altered by the medicine during the process of dilution and retains this structure even after none of the actual substance remains. It is the use of infinitesimal doses that is the most controversial aspect of Homeopathy and the reason why most conventional doctors claim it functions only as a placebo. However, a number of controlled studies have been performed which show the effectiveness of Homeopathic Medicine in treating a number of diseases. The best summary of this research is a study published in the British Medical Journal. The authors of this study are not homeopaths but medical school professors asked by the Dutch government to review the existing research. “Clinical trials of homoeopathy.”, Kleijnen, Jos; Knipschild, Paul; ter Riet, Gerben; British Medical Journal, Feb 9, 1991 v302 n6772 p516(8). Most people with a little experience in Homeopathy have no doubt that these medicines work, though inevitably they will have some family members, friends, neighbors, and physicians who will be skeptical about it. One way to deal with these people’s skepticism is to become familiar with research on the efficacy of homeopathic medicines. There is actually considerably more laboratory and clinical research on Homeopathic Medicine than most people realize. That said, it must also be recognized that more research is certainly needed, not simply to answer the questions of skeptics but to help homeopaths optimize their use of these powerful natural medicines. Some skeptics insist that research on Homeopathy is mandatory since the exceptionally small doses used do not make sense and there is no known mechanism for action for these drugs. While it is true that homeopaths presently do not know precisely how the homeopathic microdoses work, there are some compelling theories about their mechanism of action (see the discussion in Chapter 1, “The Wisdom and Wonder of Small Doses”). More important, there is compelling evidence that they do work, as this article will show. And although homeopaths may not understand how their medicines work, keep in mind that leading contemporary pharmacologists readily acknowledge that there are many commonly prescribed drugs today, including aspirin and certain antibiotics, whose mechanism of action remains unknown, but this gap in knowledge has yet to stop physicians from prescribing them. Many conventional physicians express doubt about the efficacy of Homeopathy, asserting that they will “believe it when they see it.” It may be more appropriate for them to acknowledge that they will “see it when they will believe it.” This is not meant as a criticism of conventional physicians as much as of conventional medical thinking. The biomedical paradigm has narrowed the view of, the thinking about, and the practice of medicine to the treatment of specific disease entities with supposedly symptom-specific drugs and procedures. An integral aspect of this approach to medicine is the assumption that the larger the dose of a drug, the stronger will be its effects. While this seems to make sense on the surface, knowledgeable physicians and pharmacologists know that it isn’t true. There is a recognized principle in pharmacology called the “biphasic response of drugs.”1 Rather than a drug simply having increased effects as its dose becomes larger, research has consistently shown that exceedingly small doses of a substance will have the opposite effects of large doses. More specifically, these researchers discovered that weak stimuli accelerate physiological activity, medium stimuli inhibit physiological activity, and strong stimuli halt physiological activity. For example, very weak concentrations of iodine, bromine, mercuric chloride, and arsenious acid will stimulate yeast growth, medium doses of these substances will inhibit yeast growth, and large doses will kill the yeast. The amount of research on homeopathic medicines is growing, and it is becoming increasingly difficult to ignore these studies, because they are now appearing in many of the most respected medical and scientific journals in the world. This chapter is not meant to be exhaustive (that would require a book or two of its own). It will include many of the best studies, most of which have been published in conventional medical and scientific journals. Double-blind trials – refer to experiments in which neither the experimenter nor the subjects know whether a specific treatment was prescribe or a placebo (a fake medicine that looks and tastes like real homeopathic medicines). Randomized trials – are those in which subjects of an experiment are randomly placed either in treatment groups or in placebo groups. The researchers attempt to place people with similar characteristics in equal numbers in treatment and placebo groups. Crossover studies – refer to experiments in which half of the subjects of a study are given a placebo during one phase of a study and then given the active treatment during the second phase, while the other half begin with the active treatment and then receive the placebo during the second phase. Crossover studies sometimes do not test a placebo and instead compare one type of treatment with another type of treatment. Statistics obviously are an important part of research. A treatment is thought to be considered better than a placebo if the results, according to statistical analysis, have no more than a 5% possibility of happening at random (the notation of this statistical probability is: P=.05). A study with a small number of patients (for example, 30 or less) must show a large difference between treatment and non-treatment groups for it to become statistically significant. Despite the high percentage of studies that provided evidence of success with Homeopathic Medicine, most of these studies were flawed in some way or another. Still, the researchers found 22 high-caliber studies, 15 of which showed that homeopathic medicines were effective. Of further interest, they found that 11 of the best 15 studies showed efficacy of these natural medicines, suggesting that the better designed and performed the studies were, the higher the likelihood that the medicines were found to be effective. Although people unfamiliar with research may be surprised to learn that most of the studies on Homeopathy were flawed in one significant way or another,5 research in conventional medicine during the past 25 years has had a similar percentage of flawed studies. There are different types of homeopathic clinical research, some of which provide individualization of remedies; which is the hallmark of the homeopathic methodology; some of which give a commonly prescribed remedy to all people with a similar ailment, and some of which give a combination of homeopathic medicines to people with a similar condition. While one can perform good research using any of these methods, there are certain issues that researchers have to be aware of and sensitive to in order to obtain the best objective results. Ailments such as colds, Constipation, vomiting, and Diarrhea respond well to Homeopathic Treatment. It can help in the treatment of rheumatoid Arthritis, Fibrositis and Psoriasis. Homeopathy also helps in the emotional, mental or physical complaints. For example, there is a remedy available to help people to stop smoking. Ok, you've got a cold or just banged your knee hard, or maybe you're battling a chronic condition. What's the best dosage for a homeopathic remedy? To figure out the best dosage, you need to consider many factors: whether the condition is acute (sudden onset) or chronic (present for a longer time), the severity of pain and even your age. The subtlety behind Homeopathy stands out when we assess the dosages required for various situations. In general, acute situations warrant lower dosages given more frequently, while chronic situations call for higher potencies given less frequently. According to HomeopathyCenter.org, there is no official definition of what the word “potency” means in homeopathy. It is usually used to refer to the degree of dilution that a homeopathic remedy has undergone in its manufacturing process. This is indicated by the number and letter listed after the name of the remedy. For example, Pulsatilla 30C has undergone 30 steps of dilution, each step having been a one-to-one-hundred dilution (indicated by the letter “C” meaning centesimal). Some stores also carry the “X” potencies, such as 6X or 30X. The number still refers to the number of dilutions the remedy has undergone, but the letter “X” means that each was a one-to-ten dilution (indicated by “X” the Roman numeral for 10). Both 6X and 30X are usually considered low potencies. The usual convention in homeopathy is to refer to the higher dilutions, indicated by the larger numbers, as higher potencies and the lower dilutions, indicated by smaller numbers, as lower potencies. Less is more in homeopathy. 30x is more dilute, but also more potent and therefore deeper acting than 6X. The benefit of 6X is that it requires less precision in selection and can be ideal for light, repeatable dosing, according to 1-800homeopathy.com. Generally, it’s best to start with a low potency. The standard potency for most remedies is 6X. The advantage of low potencies is that you don’t need to be as precise in identifying your symptoms and selecting the best remedy. Lower potency medicines are effective for a wider range of symptoms. This makes them suitable for self-diagnosis and repeated dosing. 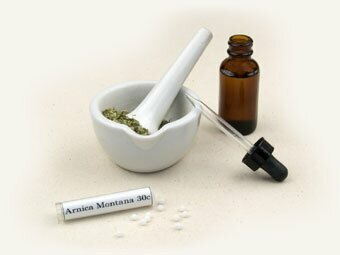 As you progress in your healing, you may also progress to higher potency formulas, according to Arnica.com. The highest potencies require considerable precision of diagnosis and selection, so it’s advisable to consult a licensed homeopathic practitioner about their use. For urgent medical conditions or symptoms that do not improve, seek professional medical care. 1. In general: Start low (6x) so you can go higher (30X, 30C), clearing symptoms as potency increases. 6X is standard. 2. Selection: Lower potencies cover a wider range of symptoms, so are ideal if you are not certain that you have chosen the best remedy for your symptoms. Higher potencies need more accurate selection to stimulate cure. For example, Pulsatilla colds and Aconite colds are very similar, but if you take Aconite 30C, you might not touch a Pulsatilla cold, however a dose or two of 6X might have enough of the right energy to stimulate relief. 3. Severity: The more severe or sudden the symptoms, the higher the potency you might want to use. For example, a sudden Belladonna fever with red face and radiating heat, responds faster to a 30X or 30C, but if a 6X is what you have available, that is fine and you can give it every 15 minutes or so for a few doses until you can see a response. A slower moving flu like Bryonia's is going to exit more slowly, but can be encouraged just as well with 6X to 30X doses taken 3-4 times a day or as needed when symptoms flare up. 4. Exceptions: Mental emotional symptoms are often said to respond better to 30x or higher. But again, selection is key, so it is best to stay low if you are not certain. 5. Frequency: The higher the potency, the less often you need to dose. It is always best to STOP or reduce dosing when symptoms improve. If improvement slows or stops, you can re-dose with the same or next potency. For chronic issues, higher potencies administered less frequently can bring longer-lasting and deeper healing. I strongly recommend consulting a homeopathic practitioner for the treatment of chronic conditions. When choosing remedies, you should also consider the severity of pain. Severe pain usually suggests higher potencies than slight discomfort. I also believe age should be taken into consideration when choosing a remedy. Younger children or babies don't require a 200c dose for an acute issue such as teething; gentler, lower potencies are more appropriate. Adults are better able to handle higher potencies. Children's systems are more sensitive than adults', so a nudge is often all they need to prompt an immune response. With years of immunity to either work for or against healing, adults usually need more encouragement to change for the better. So without any further ado, what remedies should you have with you on the sports field? We might as well start with Arnica, as, without a doubt, Arnica has almost single-handedly made Homeopathy famous! I would say seventy to eighty percent of the time, you’re going to give Arnica for sports injuries; that’s because Arnica is a specific for blunt trauma. Every homeopath carries Arnica with him (or her) in his (or her) pocket or car or backpack or all three. That’s certainly the case with me; I have Arnica 10M in my pocket, Arnica 30C in my first aid kit in my backpack and Arnica 200C in my car. What can you do with Arnica? Practically anything! Think of it in car accidents, falls, head injuries, any blow, a sore bruised feeling from any cause–even a flu with a sore bruised feeling all over the body. The worst head injuries where the person is seeing stars or has actually been knocked out can be brought back to health with a dose of Arnica. Post surgically, people who have taken Arnica have had no need for morphine or other pain relievers; now that’s impressive! And I was one of those people once, so I know it’s true. Some of you may be wondering what Arnica, or any homeopathic remedy for that matter, looks like and in answer, the remedies look like little sugar granules and you can drop a few of them in a bottle of spring water, shake it up and take a sip. That’s all you have to do! Always shake the water bottle before each dose. An unconscious person can take the remedy by mere contact of the water with his lips, he doesn’t have to swallow it. Wounds with a jagged surface, ragged wounds. Bruises or bruised feeling. Great soreness. Ailments from over-running/too much running–Asthma, nausea, etc. Head injury, any ailment after head injury. Another curious thing about Arnica is they won’t look well and will be dazed, but they’ll tell you they’re fine! They don’t seem to know they’re injured! When you see this, they need Arnica for sure! Furthermore, in a head injury, they may answer you correctly and then fall asleep. Arnica people don’t want to be touched, so they’ll send you away and they’ll be very adamant about it. Fright, panic and fear are the main features of the Aconite injury–and that’s just the parents! Yes, give the parents Aconite to calm them down! You’ll look at the little soccer player after an injury and you’ll see that he’s frantic, groaning, tossing about, biting his fist in pain. Notice your reaction, are you scared? Then it’s probably Aconite. Any ailment or injury with fear as a concomitant is Aconite. Inability to act or think. Fear, Anxiety attacks, before an event (like a soccer game). Sudden sore thoat after being exposed to cold/dry winds. Any ailment after exposure to cold dry winds (and even hot dry winds). They call Aconite “The Arnica of the eyes”. So, getting poked in the eye, corneal abrasions, sand in the eyes, “there’s something in my eye!”, etc., give Aconite. Black eye, injury to the soft tissue around the eye. Injuries with dark Bruising that feel cold and are better for cold applications. Bruises are very painful with pitting edema and a mottled bruise color. Puncture wounds, animal bites, will prevent tetanus, with deep soreness and swelling of 2 or 3 inches, deep red and painful, needs ice. The Ledum patient will be much worse if you remove the ice for even a second! Any time an injured part feels cold, give Ledum. In a Ledum wound, you will see redness at the site, but surrounded by a ring of powder, or a ring that’s bluish-white; it may feel cold and the injury is ameliorated by cold. If I could possibly quote from Dr. Robin Murphy here, “For blows to the eye, Ledum and Symphytum are the first two; Arnica is #3. For severe achiness in the whole eyeball that is dark Blue and discolored. … For all the bone diseases; osteomyelitis, bone ulcers, spinal diseases after trauma and injury. … Someone gets hit in the face on the cheek, that is not an Arnica case; it is a Symphytum or Ruta case. Arnica is for soft tissue. Arnica may help but Symphytum will cure. … You get hit in the abdomen or arm, that is more Arnica. The chin, cheek, face or eye is more Symphytum. The knee would be Symphytum or Ruta. You can start with Arnica but a lot of times, that won’t finish it. You may have to give two or three remedies in sequence to give rapid relief. Give Arnica to remove the bruised feeling and the swelling and help with the discoloration, then it is time to go to another remedy, like Symphytum to finish it. This is the nerve remedy. Have you ever dropped something on your toe or someone stepped on your fingers or the door closed on your hand and the pain shot up your arm? That’s Hypericum! Injury to areas rich in nerves. Someone steps on your toes, you bite your tongue. The pain is sharp and shooting. Injury to the nerves, inflammation of the nerves. Falls on the tail bone. Puncture wounds with sharp pains, animal bites, insect stings with sharp pains. Any neurological condition after injury to the spine like Convulsions. Person complains that he can’t raise his arms without pain. A partner with Hypericum, often you’ll see the two of them sold together as “Hyperical”. They’re both for cuts, open wounds, deep abrasions, multiple abrasions, chapping, chafing, bleeding, stabbing….I think you get the idea that Calendula is an Antiseptic! Pour Calendula water on an open wound to clean it out. Drop some Calendula pellets in a plant sprayer and spray the whole area that’s been abraded. Take the remedy internally as well. It stops bleeding, stops the redness, puffiness and pus formation at the site of a wound and stimulates healing, soothes the pain. Abrasions in the eyes, foreign body in the eye, but give Hypericum if there is a lot of pain! Prevents sepsis from setting in after being wounded and even if it already has set in, Calendula is still the remedy, but also consider Pyrogen. It can be hard to decide when to use Staphysagria and when to use Calendula. Both are wound remedies. But with Staphysagria there is more pain, exquisite pain! In fact, do you know where I use Staphysagria? At the dentist’s office! Scraping the plaque off of sensitive teeth can cause a patient to hit the ceiling! For this I take Staphysagria 10M right as I sit down in the dentist’s chair; and as Homeopathic Remedies don’t create the “drugged” feeling you get from pain killers, you can think that the remedy isn’t working, and that the dentist just hasn’t gotten to your sensitive teeth yet. But when I got through the whole bottom row without pain, I began to suspect something! And when the whole proceedure was done without any anesthesia, I was convinced that the remedy really worked! But back to sports injuries! With Staphysagria, there is deeper infection than in Calendula, there is more pus and more pain. The wound seems to affect the whole person and not just the local site. Whatever the injury may be, whether it’s a broken bone, (and Bryonia is the #1 remedy for acute fractures), a bruise or a sprain, the reaction of the Bryonia person is always the same: He can’t move. Even the slightest movement causes a sharp pain. Even breathing might make the pain worse, so he is breathing very shallowly. Firm hard pressure gives him relief, an ace bandage gives relief. He will want the area immobilized. If for some reason Bryonia isn’t helping sufficiently in fractures, go to Eupatorium perf. for severe pain. (”Rhus tox” for short.) Unlike Bryonia, Rhus tox must move! They cannot sit still! They must stretch, walk about, squirm in their seat. Usually with Rhus tox the injury is a sprain or strain. They feel terrible stiffness, which is relieved by stretching, moving and is worse as soon as they sit for any length of time or lie down. Moving helps them enormously, so does heat and hot bathing and massage. Ruta is an awful lot like Rhus tox. Ruta has strains and sprains, an affinity for the tendons, and a feeling of stiffness and is also worse cold and better heat, but Ruta wants to lie down and is better for lying down, which Rhus tox certainly is not; plus, Ruta’s stiffness is extreme; they’ll say it’s like being encased in cement! Also, what Ruta is famous for is injuries to the shins and other areas that are thinly covered, like the forehead, chin, elbow, cheek bone–the periosteum, in other words. Compound fractures, tremendous Bruising which is Black, or near Black with oozing of dark blood, threatened infection, severe pain, burning pain, worse heat, worse pressure. Do not even think about giving an ace bandage to a Lachesis patient! “Nat-sulph” is needed for the chronic syndrome following head injury or spinal injury which will almost always include severe Depression. There may also be amnesia about the event. Following head injury, a slowness or sluggishness, poor Concentration, a lack of comprehension; the patient is in a mental fog; he may have a furrowed brow and a rolling of the head from side to side. Bee stings, wasp stings. Penetrating wounds that burn and sting as if they were bee or wasp stings. The person is passing out from the injury. Also, altitude sickness, when your team is traveling to areas of high altitude. The little sports player is so nervous, so Anxiety-ridden, before the game that he’s trembly, feeling weak, may have Diarrhea and thinking that he’s “coming down with something” and not well enough to play. The problem here is the heat. Heatstroke, heat exhaustion. The two back-up remedies for Belladonna in heatstroke are Glonoine and Natrum carb. Bellis is a back-up for Arnica. They are both daisies, but Bellis is a deeper Arnica; it’s for bruised organs. Imagine being kicked in the stomach or hit in the breast! This would be Bellis. There may also be lymph node enlargement after a trauma. Bellis will ask for cold applications and is worse from heat. After Arnica, Opium is the most common remedy for head injury. The person will have pin-point pupils, will be stuporous and unresponsive. Face will be flushed, bloated, heavy, red, hot with an imbecillic look. Nose bleed of bright red blood. – -Calendula Oil 4 oz.